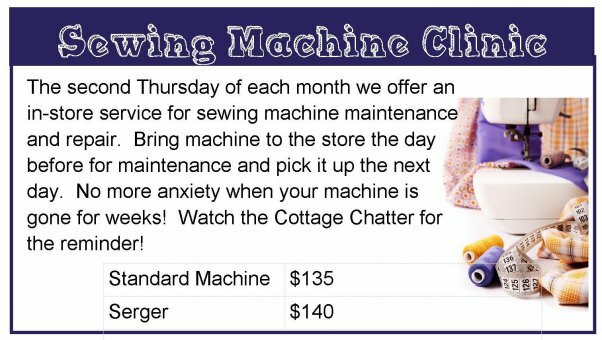 Lori's Country Cottage offers custom machine quilting on a computerized Gammill Optimum, Statler Stitcher long-arm quilting machine. 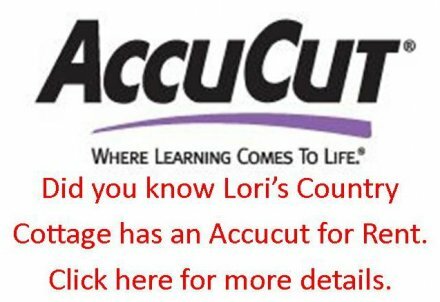 Lori's has been quilting customers' quilts for over 15 years and in that time completed in excess of 5000 quilt tops. We recently got a new computer than allows us to do more fills included in custom computer work. All quilts are quilted to your specifications. 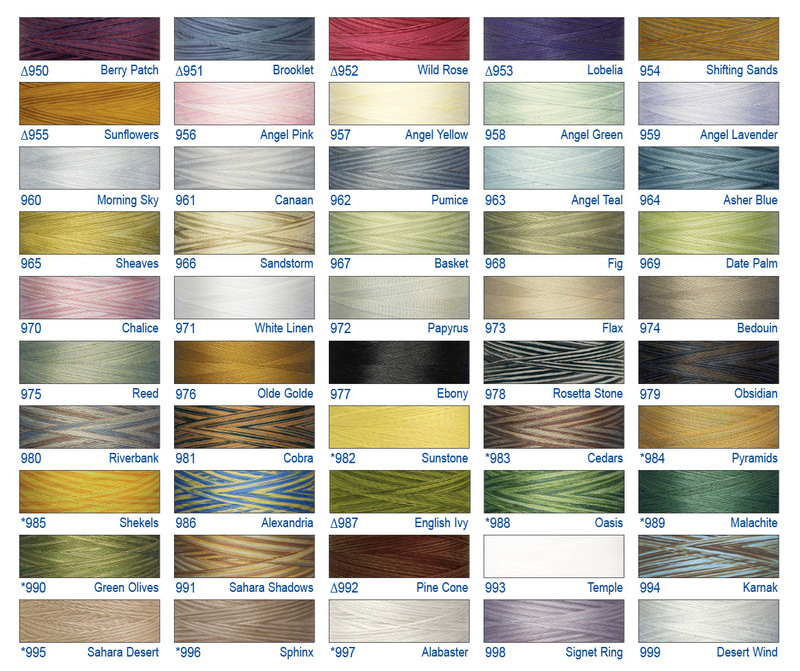 We offer you choice of edge to edge all over designs to 100% custom quilting. 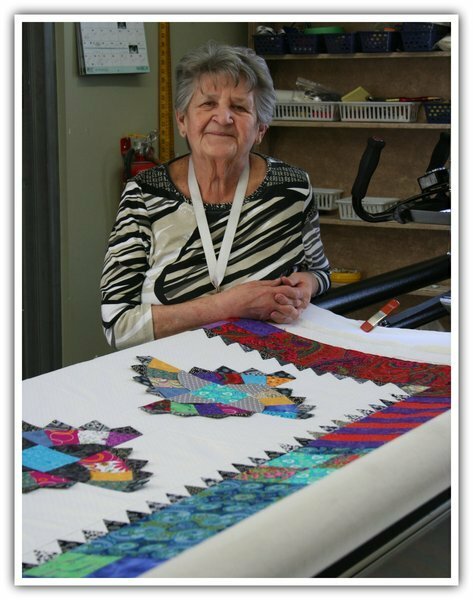 We take pride in our work and we appreciate the work that you have invested into your quilts. Our service is prompt, with a turn-around time of 1-2 weeks. If you have a scheduled that is extremely tight, for a modest up-charge we will accommodate your timetable. Our workroom is pet and smoke free! 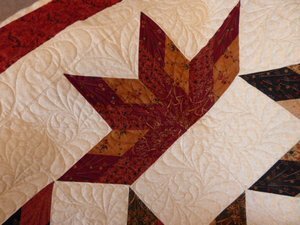 To ready your quilt for custom quilting, square your quilt top, back and batting the best that you can, press and trim stray threads. 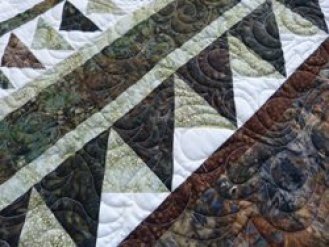 Batting and backing should be 4-8” larger that your finished quilt top. If you are piecing the backing, trim the selvage edges before your join your seams and press seam to one side. An estimate on quilting an average queen sized quilt, approximately 90" X 100", would be approximately $250 for a simple all over design. This estimate can be less or more depending on the design you chose. Please note that batting and thread are not included in this estimate. 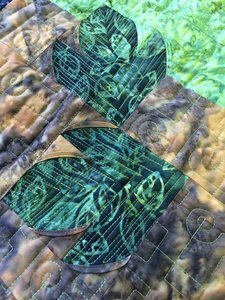 If you have a very small project, our minimum custom quilting cost is $55. 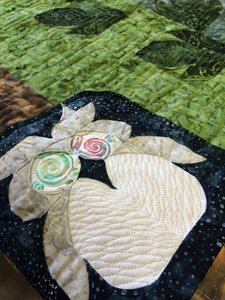 We would like to better discuss your quilting requirements, so when your quilt is ready for quilting, please make a consultation appointment, 780-464-9697. 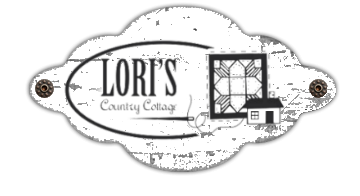 For your convenience, Lori's Country Cottage carries a wide range of 96" and 124" wide batting and 108" backings. Try cuddle/minkie/fireside for an extra cozy backing. 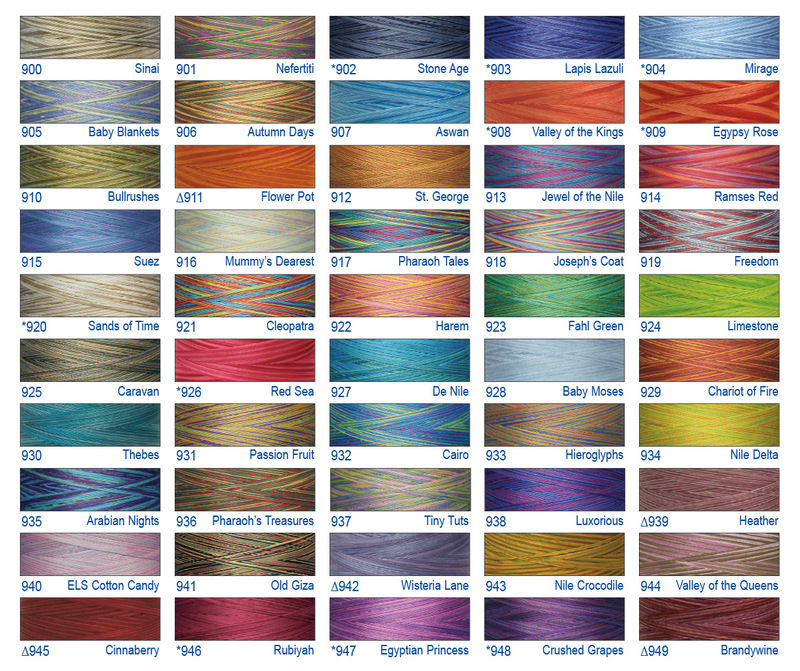 These products are 100% polyester with a pile, most are approximately 60" wide, with a limited selection of 90" wide. 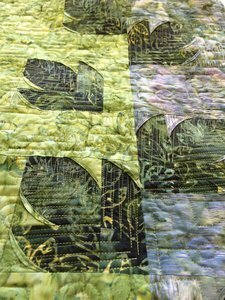 Good quality backing will ensure that your quilt will look and feel its best for many years to come. 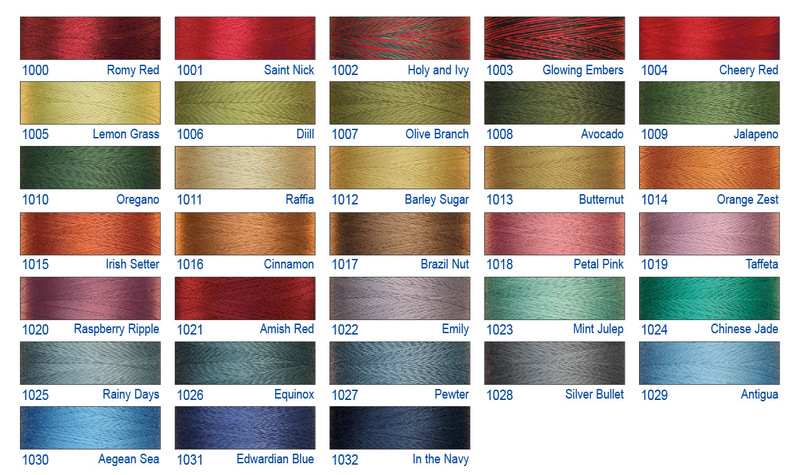 Our batting is competitively priced $10.99-$32.99 per meter. We also have pre-packaged batting. Heirloom Natural with Scrim is designed for quilting looking for more strength in their cotton batting. Heirloom Natural with Scrim is made with Natural cotton but has a thin scrim (stablizer) needle punched into the cotton. This scrim provides superior strength over cotton alone, and prevents the batting from stretching and distorting. Shrinkage of 3-5% and may be quilted up to 8" apart. Heirloom Premium 80/20 Blend 124"
Heirloom Premium 80/20 cotton offers more loft and less weight than traditional cotton batting. Our 80/20 is made with 80% natural cotton & 20% fine polyester. It is needle punched and spray bonded to provide exceptional strength and durability. Shrinkage of 3-5% and may be quilted up to 4" apart. The Black 80/20 is made the same way as the Premium 80/20, but is black dyed cotton to provide quilters a dark batting that will not show through a dark quilt top. Shrinkage of 3-5% and may be quilted up to 4" apart. Click here to see how Hobbs batting is made and answer some Frequently Asked Questions! A new product developed to use in place of batting or other stabilizers in purses, bags, totes, home decor items, and more. Soft and stable has lasting body and stability, is lightweight and maintains it shape. Washer and dryer safe and there is no need to quilt it. Tuscany Wool batting is made with the very best super wash wool, which eliminates most or all of the shrinkage. It is then carded and resin bonded to help retard bearding. Tuscany wool batting provides superb insulation and the fiber breathes, allowing excess heat to dispense away from the body. It can be quilted up to 4″ apart and is washable. We recommend washing in tepid water by hand and laying out flat to dry. 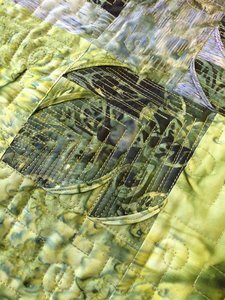 It hand quilts like a dream, and is wonderful for machine quilters as well. Bamboo grows up to 4 feet a day, cut 1 stick of bamboo and 2 more will grow, making it one of the most ecologically useful plants. It has antimicrobial properties and can be grown without harmful pesticides and fertilizers. For anyone looking to minimize their impact on the environment, this seems like the best scenario. Bamboo is either processed mechanically, which makes it organic and “green" or it’s processed chemically, by soaking in toxic chemicals and regenerated into fiber. Our Bamboo batting is mechanically processed, crushed plant and natural enzymes are added to break down the woody pats into mush that is combed and spun into yarn. This is labor-intensive ad costs more that chemical processing, but is indeed the ecological way to go and truly organic. The regenerated cellulosic fiber of bamboo has microscopic pores that give the batting a wicking quality, something that draws moisture away from the body to the fiber making it an excellent warm weather option. Bamboo’s inherent properties also make it a good option for allergy sufferers as many people who are allergic to other natural fibers are usually not allergic to bamboo. Our organic bamboo batting is the softest of all our batting and can be treated like cotton batting. Click here to see some awesome ideas for quilted placemats! 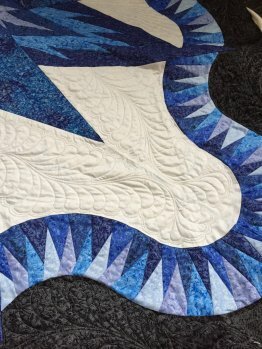 The pattern that you choose for the custom quilting will greatly effect the final impact of your newly finished quilt. 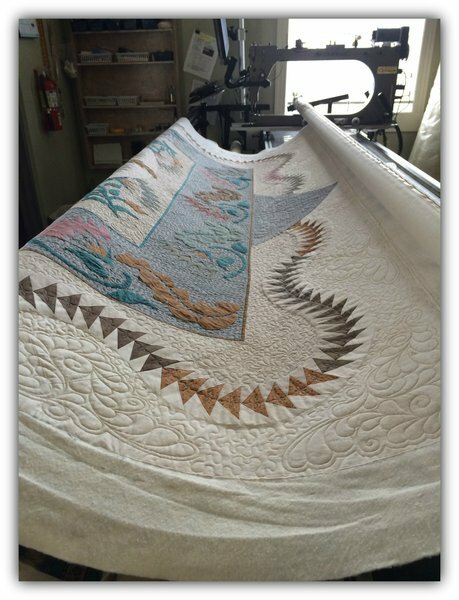 With a wide selection of patterns it is a great idea to spend some time in consultation with our custom machine quilting experts. We also have a new computer so we have increased the number of patterns to chose from. Our staff have used all our patterns and can suggest some various patterns and designs that might fit your quilt. 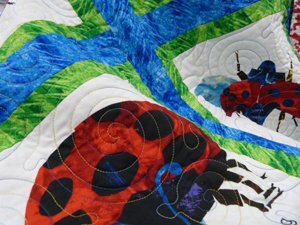 Look around our shop and see the different designs in our sample quilts hanging through-out the store.